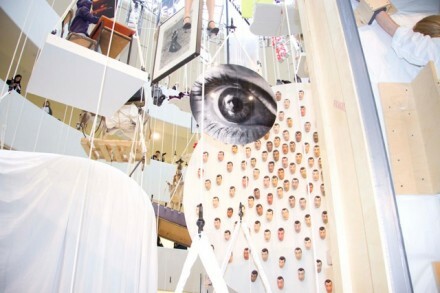 All photos on site for Art Observed by Zachary Concepcion. 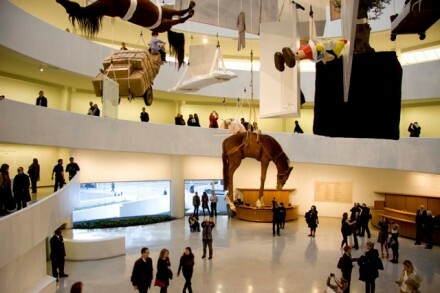 Maurizio Cattelan: All at the Solomon R. Guggenheim Museum is the artist’s first and last retrospective—and should not be missed—according to Cattelan. 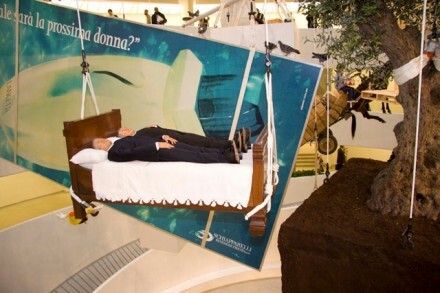 Long thought of as both prankster and genius, Cattelan is known for his subversion of authority, and fittingly his retrospective challenges the traditional museum exhibition. 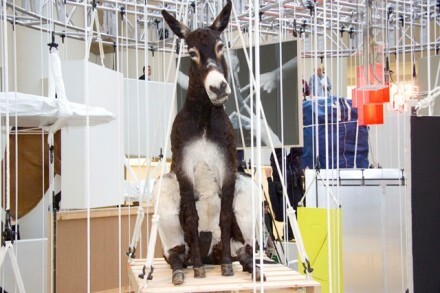 His hyperrealistic statues and taxidermied animals question the norm with heavy and often humorous irony, while also carrying darker, more serious undertones, hanging like a gallows from the ceiling of the Guggenheim. 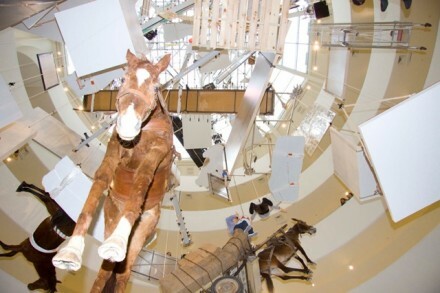 For the first time at the Guggenheim Museum, the exhibition is not mounted on its winding ramp; instead, Cattelan has designed a site-specific installation. 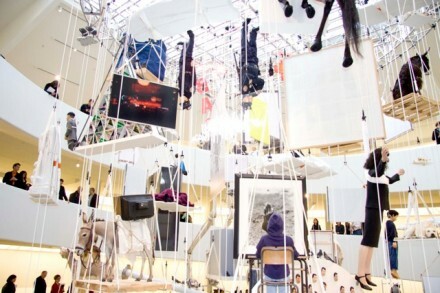 Virtually everything created by the artist since 1989 dangles from the large oculus, chaotic and seemingly random. There are no labels or wall texts, only a large foldout map identifying the names and dates of each sculpture, with each turn up the ramp revealing new views and details. 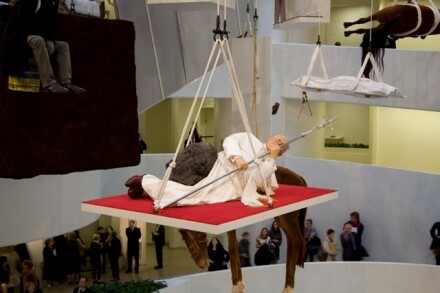 Maurizio Cattelan, We, (2010) in front of Maurizio Cattelan, Working is a Bad Job, (1993). 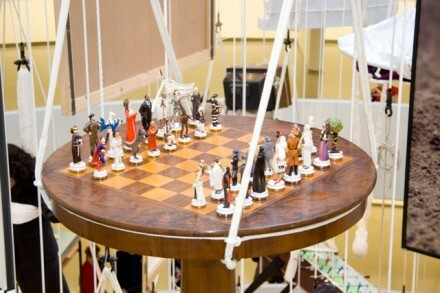 Nearly 130 individual pieces are strung up, as chief curator Nancy Spector writes, “Like laundry to dry.” Yet while playful at first glance, many of the objects are infused with a sense of death; a fitting undertone to Cattelan’s supposed retirement from making art. From the same series of iconic figures and perhaps even more upsetting is Him (2001), a sculpture of a child-sized Adolf Hitler, kneeling in prayer. 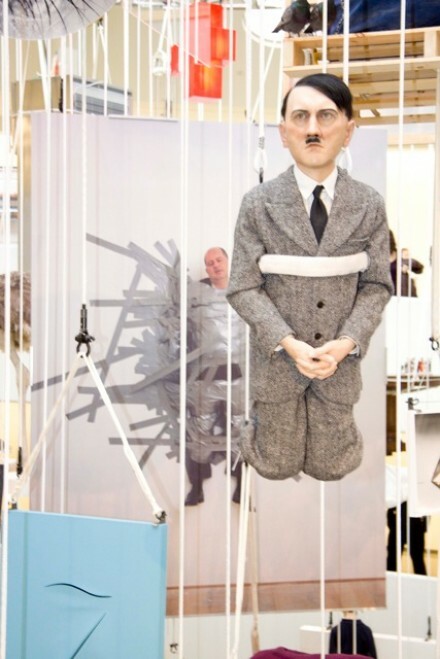 When originally exhibited, Cattelan intended for people to approach this statue from behind, circling to the front to discover the face of Hitler. 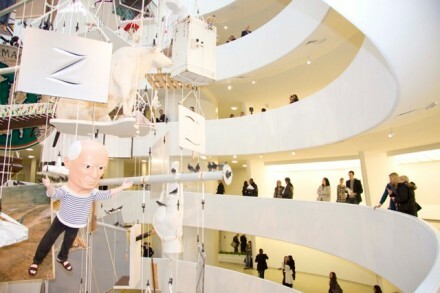 At the Guggenheim we see the statue from below, half hidden by other suspended works, his face revealed upon climbing the ramp. 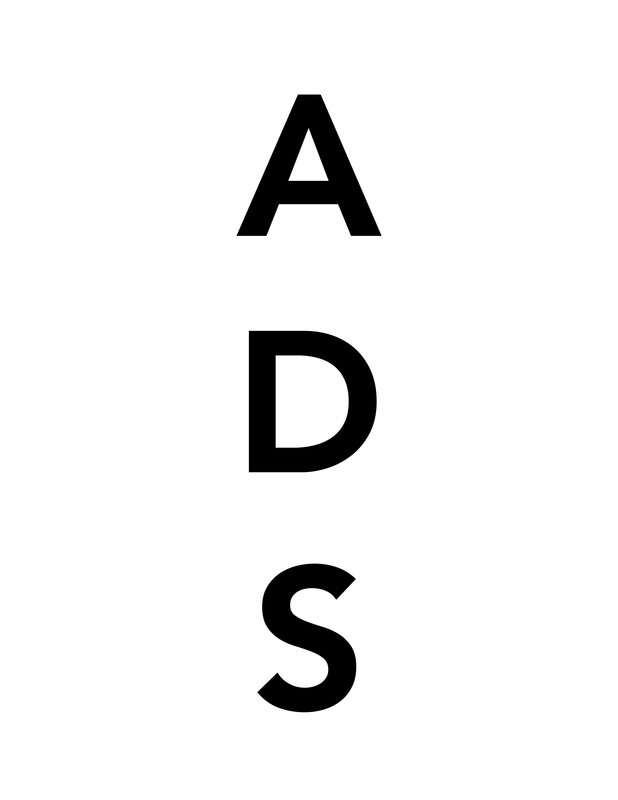 This entry was posted on Sunday, November 27th, 2011 at 12:24 am	and is filed under Art News. You can follow any responses to this entry through the RSS 2.0 feed. You can leave a response, or trackback from your own site.